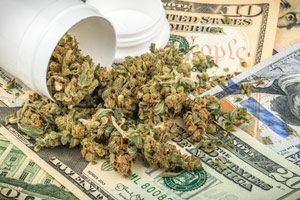 Today, we're going to show you the top marijuana penny stock of August 2017 – and why it's handed investors a 61.8% return so far this month. The top pot penny stock of August so far has been Gala Global Inc., which sells wellness products with cannabinoid ingredients. These mainly include modifications for vapes and oral cannabinoid strips that dissolve in your mouth. Shares of GLAG are up 61.8% this month and an incredible 7,652% this year, making it one of the top marijuana stocks of 2017. The stock rocketed 122% alone on Aug. 9, when the company's subsidiary, Controlled Environment Genomics Inc., filed a patent for a new type of plant technology. The technology is specifically meant to clone modified plants in order to make marijuana pharmaceutical products. For example, Canadian Cannabis Corp. (OTCMKTS: CCAN) has fallen from $0.64 at the start of 2017 to $0.16 today. That means investors who bought in on the first day of the year have lost 75% of their initial investment. Since most trade on over-the-counter (OTC) exchanges, they're not obligated to submit financial filings to the SEC. That means they don't have to be transparent when it comes to their financial performance, which always makes them risky, volatile investments. Just look at GLAG stock. Shares surged 72.7% from $0.55 to $0.95 between July 31 and Aug. 7. But the next day, they plummeted 52.6% in just one session. However, we don't recommend staying away from all OTC pot stocks. 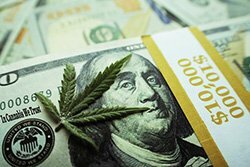 Money Morning Director of Technology & Venture Capital Research Michael A. Robinson thinks there are plenty of safe – and profitable – OTC marijuana stocks out there. In fact, he just released a report recommending five of the best marijuana stocks to buy right now. 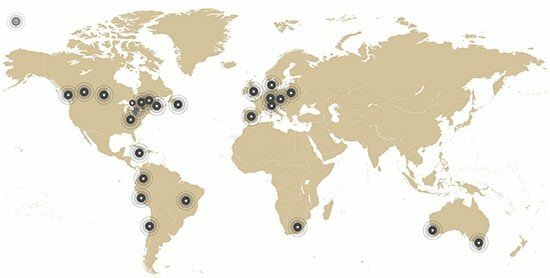 These companies are good for your portfolio because they're poised to soar from Canada's upcoming cannabis legalization, which could pass on July 1, 2018. If it passes, it will have a stunning impact on marijuana sales. Bloomberg reports it could even make medical cannabis sales in Canada grow by 400% to $4.5 billion through 2021.